Three-quarters of R.E.M. 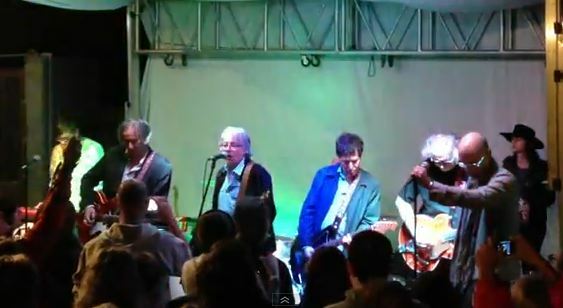 — Peter Buck, Mike Mills and drummer-turned-farmer Bill Berry — reunited onstage tonight in Portland, Ore., at the second of two benefit concerts for Scott McCaughey, the longtime R.E.M. sideman who suffered a stroke in November. See video from the reunion performances here. A host of musicians — including R.E.M.’s Peter Buck and Mike Mills, as well as Alejandro Escovedo, members of Sleater-Kinney, The Decemberists, Drive-By Truckers and The Shins, and more — will perform two concerts in Portland, Ore., next month to raise money for Scott McCaughey, who suffered a stroke last month. Scott McCaughey, leader of the Young Fresh Fellows and the Minus 5, and who spent 17 years as a touring guitarist and multi-instrumentalist for R.E.M., suffered a stroke while on a tour of the West Coast with Alejandro Escovedo, his wife announced today. He is in stable condition, but a long recovery is expected. Former R.E.M. 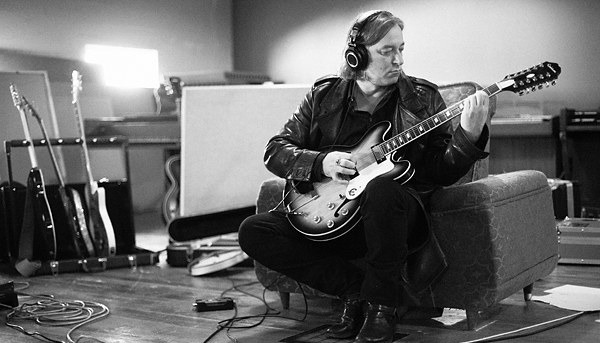 guitarist Peter Buck’s commitment to making new music — and releasing it on vinyl — continues this fall when he follows up his recently released second solo album with a brand-new four-track 7-inch EP titled Opium Drivel. The 33 rpm EP will be released Oct. 21 on Buck’s usual label, Mississippi Records. There very well could have been a full-fledged R.E.M. reunion in Portland, Ore., on Saturday night as all four members of the defunct college-rock superstars performed after Peter Buck’s wedding. But, by all appearances, they managed to avoid such headlines, just barely, by not actually sharing the stage together. Robyn Hitchcock will hit the road in the U.S. later this spring to support his just-released ‘Love From London’ album, playing a series of dates on the two coasts with his latter-period backup band The Venus 3 and R.E.M.’s Peter Buck serving as opening act. The first weekend of Peter Buck’s three-weekend Todos Santos Music Festival in Baja California, Mexico, wrapped up Saturday night with what was essentially a reunion of latter-day R.E.M. minus Michael Stipe as bassist Mike Mills joined Buck and his steadfast R.E.M. sidemen Scott McCaughey and Bill Rieflin onstage. 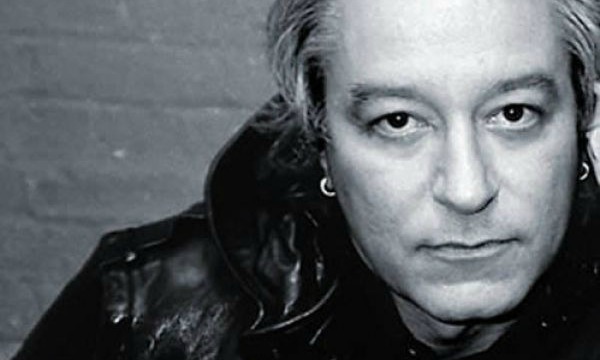 Peter Buck finally announced his debut solo album today, posting a note on R.E.M.’s website that reveals the album — we’re still not sure what it’s called; he doesn’t mention its title — will be released this Friday in a super-limited, 2,000-copy vinyl-only run by Portland, Ore.-based Mississippi Records. Last night in Seattle, former R.E.M. 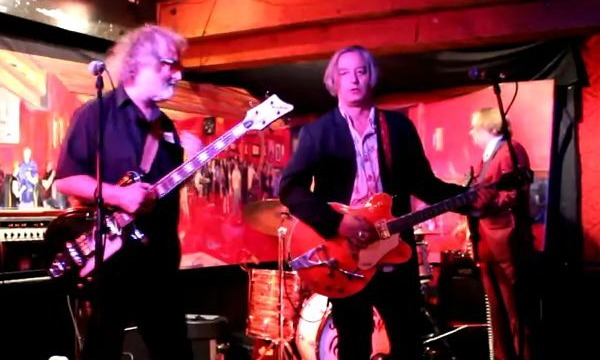 guitarist Peter Buck played his first-ever solo show — after conducting, as he noted from the stage, his first-ever solo soundcheck — he debuted his new backing band Richard M. Nixon as the opening act for the first of two Young Fresh Fellows album-release shows at The Sunset. For months, former R.E.M. guitarist Peter Buck has been silent about his upcoming solo debut, but he’s finally opening up about the project, confirming it’s planned as a vinyl-only release and that he’ll sing eight of the album’s 12 tracks, with longtime sideman Scott McCaughey and Corin Tucker picking up the rest.